Do all your roads lead you to the capital of the Czech Republic? Are you planning to study, work, or discover the beauties of the heart of Europe for a few weeks or months? Whatever the reason for your trip, on Flatio you can get a rental apartment in Prague 9 in time. Is it important for you to immediately know exactly where an apartment is located when choosing accommodation? Pick a rental in Prague 9 using Flatio’s map quickly and simply. 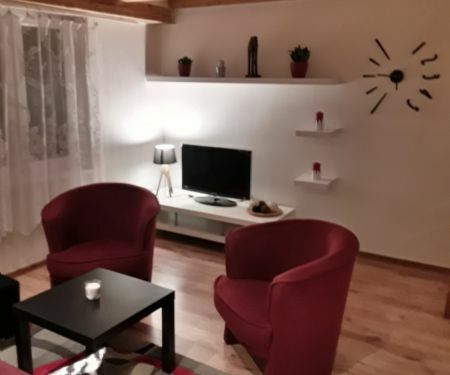 You’re looking for a rental apartment in Prague 9 for 14 days, 4 weeks or even 6 months but you haven’t seen a good one yet? Follow the newest rentals on Flatio and always be in the loop. Your final pick will be made easier thanks to the virtual tours and photos which you can look through at your own pace. Then you just need to choose the ideal apartment, request its reservation, and within 24 hours you’ll have confirmation from the landlord that the chosen flat is yours. Is a business trip or a study visit in the capital of the Czech Republic awaiting you, you’d rather not live in its noisy centre? Rent an apartment in Prague 9. Everything is just a few minutes away either by car, tram or metro. There are 58 050 inhabitants in the area of 13.86 km² according to the end of 2017 data. Do you want to be one of them for 2 weeks, 3 months, or half a year? On Flatio, we’ll get you accommodation according to your needs. Do you want to have an east-facing aspect or a parking space right outside your place? Check out the offered rentals and choose the right apartment for you. No later than in 24 hours after reservation will the landlord send you a confirmation. There are no pointless delays with us. What are the best apartments in Prague 9 on Flatio? Previous tenants have already asked that. Browse the top-rated rental apartments and pick the ideal one in the capital of the Czech Republic for you. Thanks to the previous experiences of tenants you’ll have the opportunity to get accommodation that will suit your needs – a fully furnished apartment of assorted dispositions with a balcony or maybe with a view of a park. It’s up to you – just choose based on the virtual tours, photos, and ratings of previous users. And you don’t have to pay a deposit or steep commissions to an estate agent. Choose, based on virtual tours, photos, or ratings of previous users. Make a reservation for 2 weeks, a month, or half a year. Wait for a confirmation by the landlord for a maximum of 24 hours, and after you arrive, enjoy fully your new home! Discover all of Prague’s genuine beauty, enjoy your experiences to the fullest; save money for them when you’re looking for a place to stay for your upcoming visit. 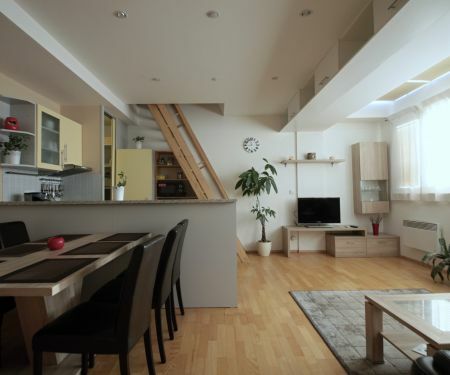 Rent an apartment in Prague 9 without an estate agency and steep fees which you’d have to give the agent for mediation. With Flatio it’s simple – you only pay the service fee based on the length of your stay and a 19€ reservation fee. You can enjoy Prague to the max. Do you also want to have some funds for later, so that you have more means to discover the capital of the Czech Republic? With Flatio, you’ll rent an apartment in Prague 9 without a deposit, which can sometimes be worth three months of rent. Live smart!